I meet many people who are on a healing journey and I hear countless stories of how tragic accidents or illnesses have become turning points, changing their lives. My own healing story is not unusual or remarkable, but I made a decision to change and deliberately set out on a course that gave me an opportunity to grow. It was Boxing Day, 1979 when my family was told to prepare for the worst as I lay in hospital in intensive care, attached to a life support system. They were told that, if I lived, the injuries I had sustained in a head-on collision meant I might never be able to lead a normal life. This accident marked the start of a new stage of my life and an awakening to a new reality. After nine weeks when I could be moved, I made my first clear decision to change. In order to be transported to another hospital closer to my family, I was taken out of traction and placed in a plaster cast from my foot to under my ribs to encase my badly injured right leg. It was a harrowing experience as nurses and physiotherapists held me to apply the plaster. When the doctor came later that day to inspect the job, he found the cast hadn’t been made correctly and would have to be cut off and done again. The next day as they sawed off the hard plaster and applied the new cast, I grew frustrated and angry and suddenly realised the nature of the situation I was in. From that moment, I committed to getting better. That decision, together with the 400km road ambulance trip and a new hospital and surroundings, ‘woke’ me up. The lights came on and have remained on ever since. After three months, I remember quite clearly starting to walk again. Using a walking frame, I would very slowly and carefully walk around the ward. I was so excited that I was making progress. One of the nurses would lead me to other patients who were feeling down and depressed, encouraging me to tell my story. I could see the change in their eyes and the healing process taking place. Since that day I have been inspired to share all that I learn and know, to be able to receive more. It was now August 1998 and I had arrived in Beijing, China to attend the 4th World Conference on Medical Qigong. My teacher suggested that I go, as it would be a great opportunity to meet other Qigong practitioners. When the master gives an order you just do it. 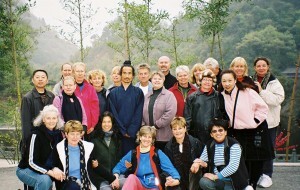 I attended many workshops by professors and masters which included theory and specific Qigong training methods. All my previous years of training were coming to fruition as I realised that I knew more than I thought I did. I spent a lot of my spare time with Professor Jerry Alan Johnson, an American Qigong Grand Master who was writing a series of Medical Qigong books. What he told me had a big influence on the next stage of my journey. He explained his understanding of the progression of developing yourself within the Chinese Healing Arts. 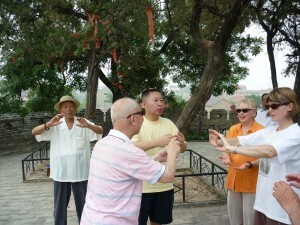 We generally start with the martial forms of Qigong. Becoming the warrior when we are younger shows us a way of learning discipline and structure, and building the Qi. From the warrior we start to enquire and question our self and become the scholar and study the classics on medicine, art, philosophy and spirituality. This leads us to the healer, healing our self both physically and emotionally, awakening spiritually and healing others as a way of gaining merit for the negative karma accumulated from the warrior. This leads us to become one with the universe, the Dao, God or whatever your understanding of the divine. I have told this story many times, thank you Jerry, mainly to groups in rehabilitation programs. I explain that you don’t want to be the warrior when you are 65 years of age, still fighting in the streets for your existence. By that age we should have moved through life, learning from our adventures and growing and developing to become a valuable member of the community. My Taijiquan and Qigong training, at this being twelve years and the last ten years had fully enveloped my life. However, by meeting other practitioners at the conference and being exposed to the world stage I realised that I was still in the early stages of this journey into the Chinese Healing Arts. I knew when I started that it would take a long time; the Chinese have a word for this, Gong Fu (Kung Fu) which translates to skill and time. 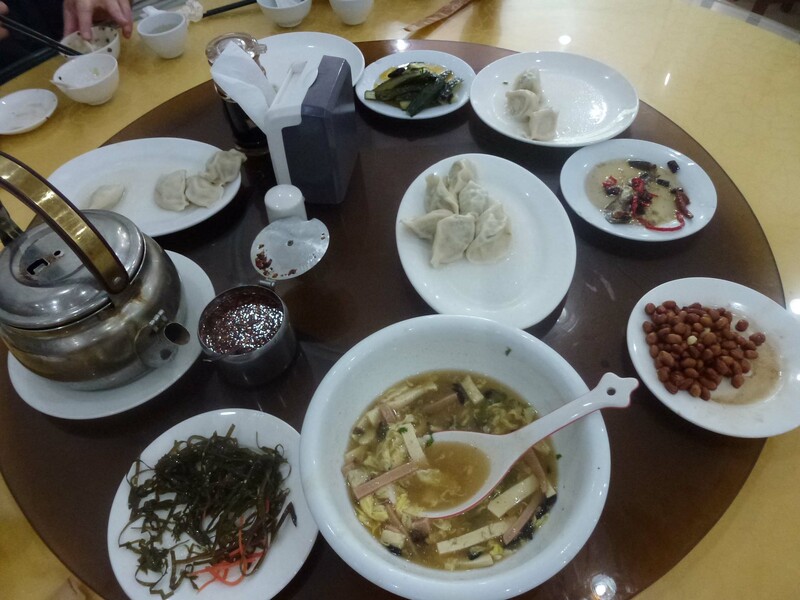 It takes time to acquire a skill; there is Gong Fu in gaining skills in all areas of life. It’s important to take your time, set your destination and work towards it and factor in the time it’s going to take to arrive there. It’s like the foundations of a bridge which need to be solidly grounded in the earth to enable people to cross safely. I never had a great interest in the martial arts, my journey starting with Taijiquan was mainly to regain strength and discover the inner peace that I experienced when I had that near-death experience. Jerry’s story was making sense and it was time to give away the warrior. By 2002 I had stopped teaching and practising Taijiquan (Martial Qigong) and I was committed to studying, researching and sharing Medical Qigong and meditation. Simon Blow is the author of numerous books, DVDs and audio CDs about this ancient healing art. 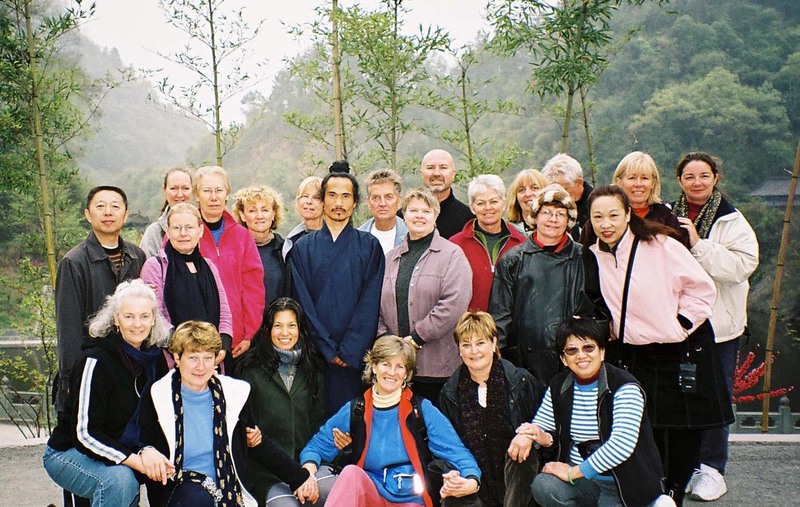 He is a Sydney-based master teacher (Laoshi) who has been leading regular classes, workshops and retreats for beginning and continuing students since 1990. 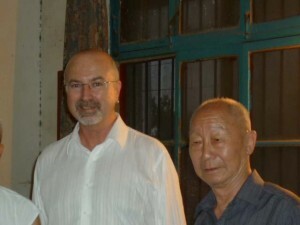 Simon has received training and certification from Traditional Chinese Medical Hospitals and Daoist Monasteries in China and Buddhist Monasteries in Australia has been given authority to share these techniques. He has been initiated into Dragon Gate Daoism and given the name of Xin Si, meaning Genuine Wisdom. Simon is a Standing Council Member of the World Academic Society of Medical Qigong in Beijing.